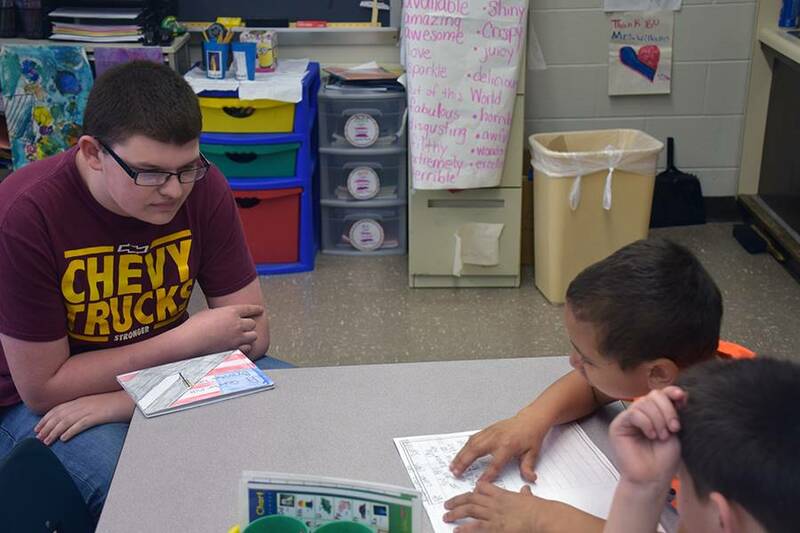 Reading and math are the pillars of education and are important throughout life. 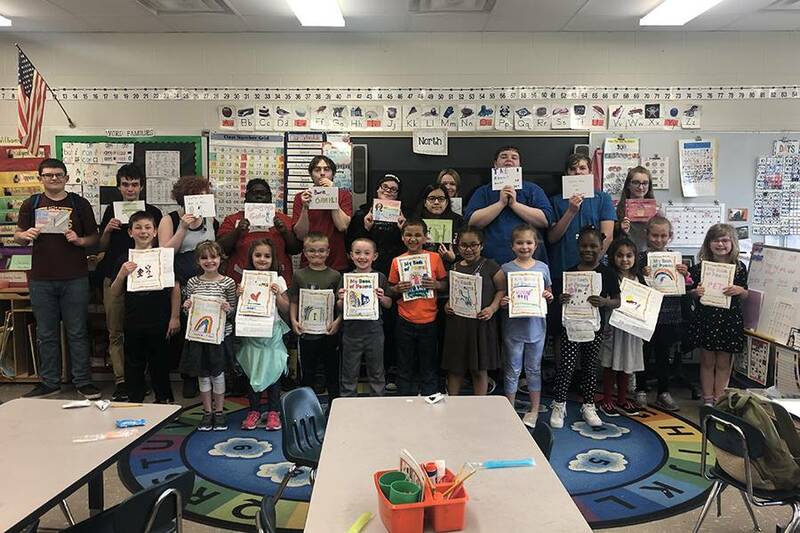 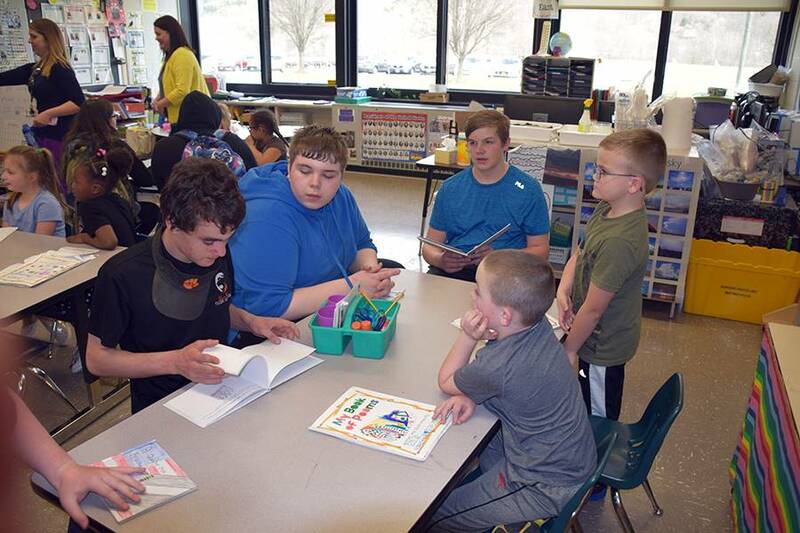 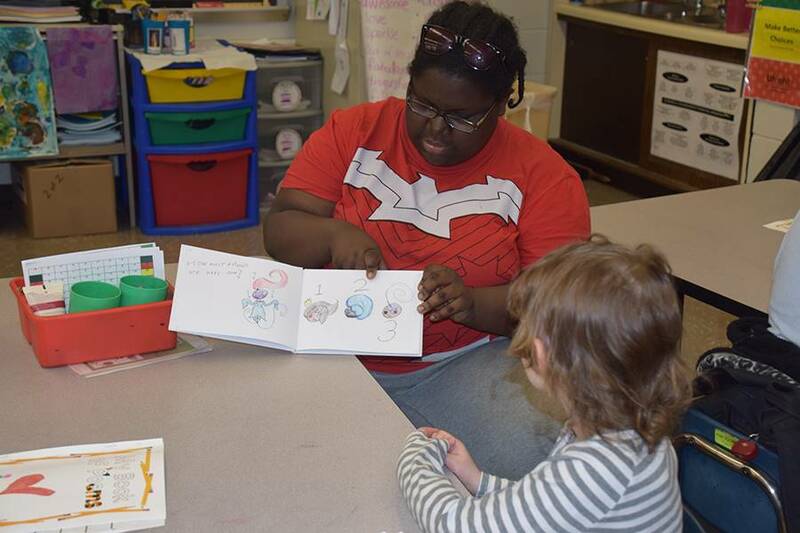 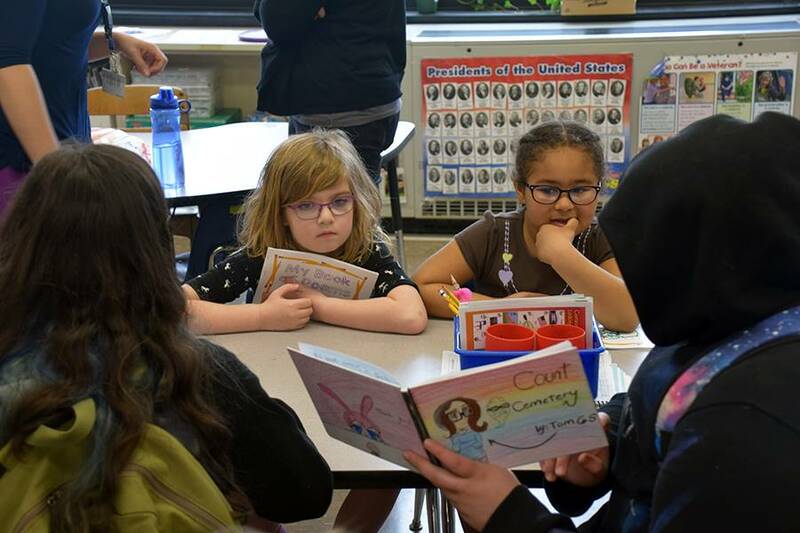 To keep it interesting and fun, ninth-grade students from Tiger Ventures combined the two subjects into children's books to read to AGM first-graders. 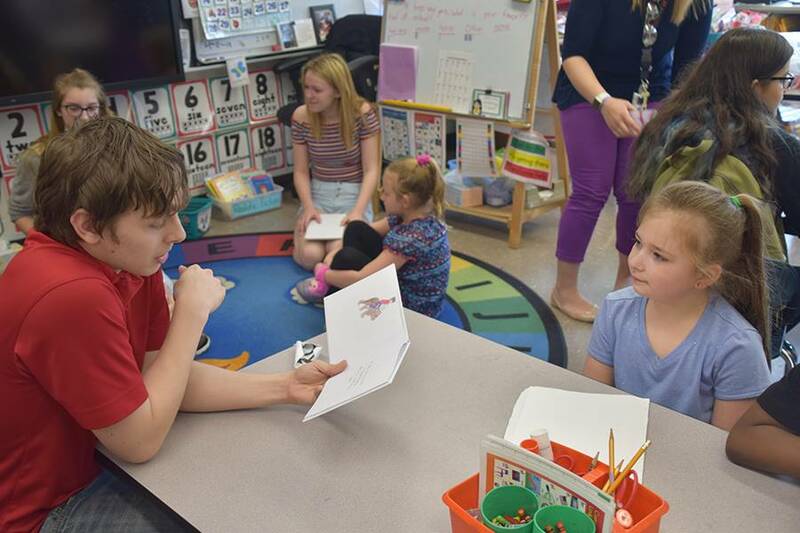 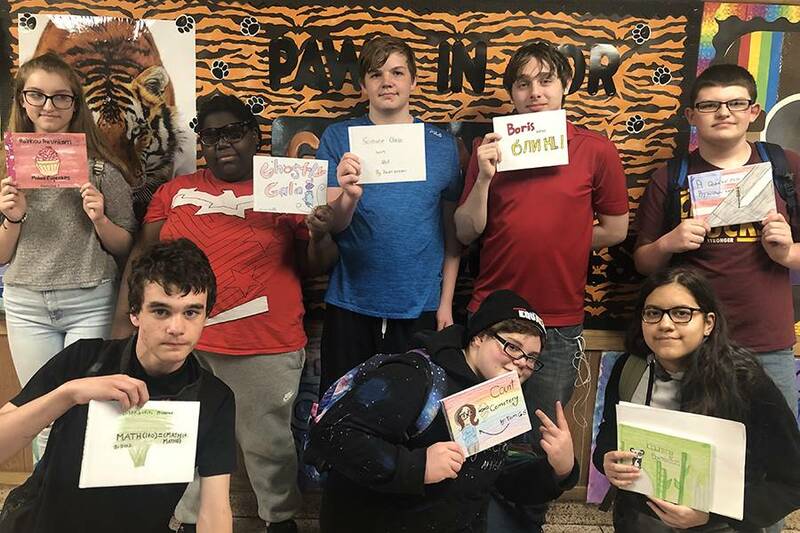 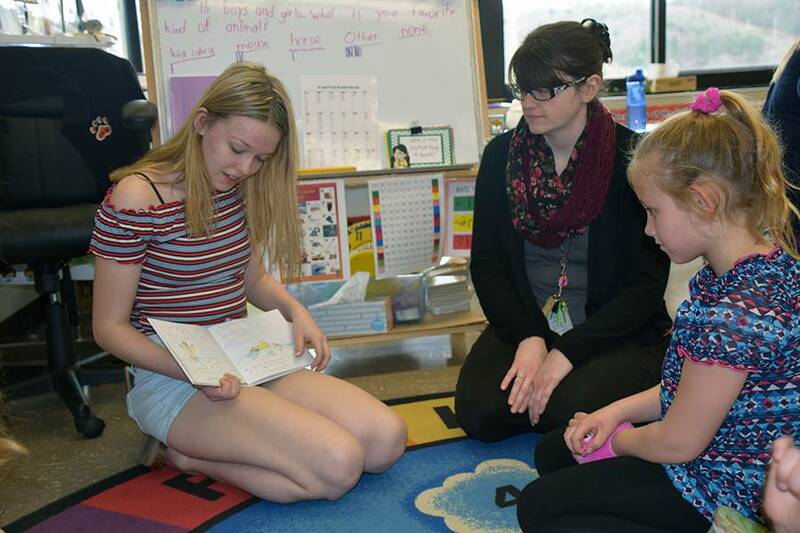 Freshmen at Tiger Ventures were challenged by math teacher Kim VanOrman and English teacher Julie Saltisiak to create children's books that teach a mathematical concept. 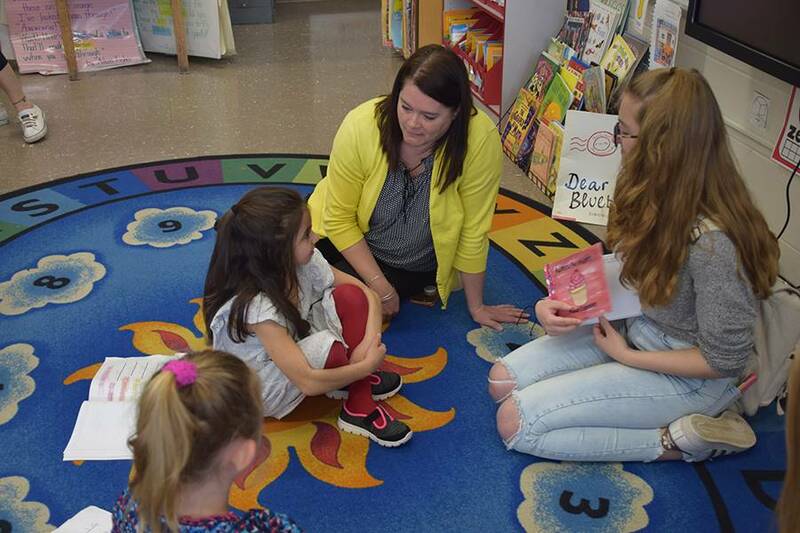 In order to give them a real-life audience, they scheduled a reading time with first-grade students in Debra Hover-Williams class at AGM. 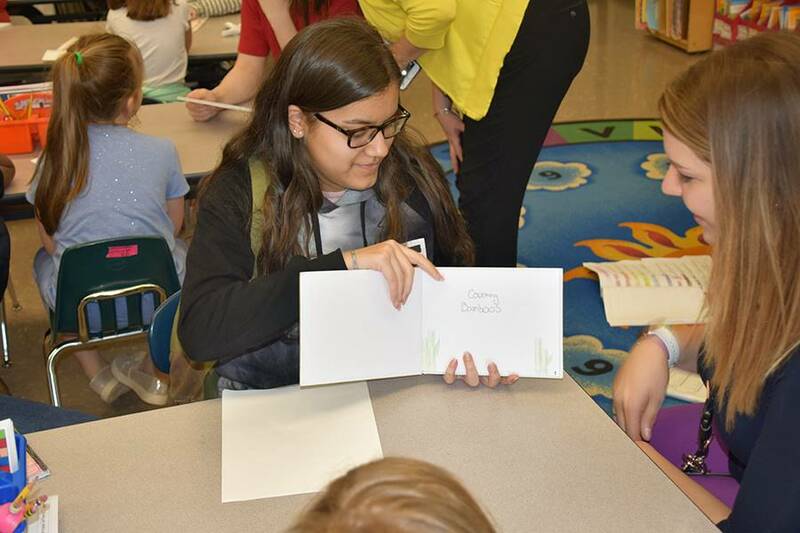 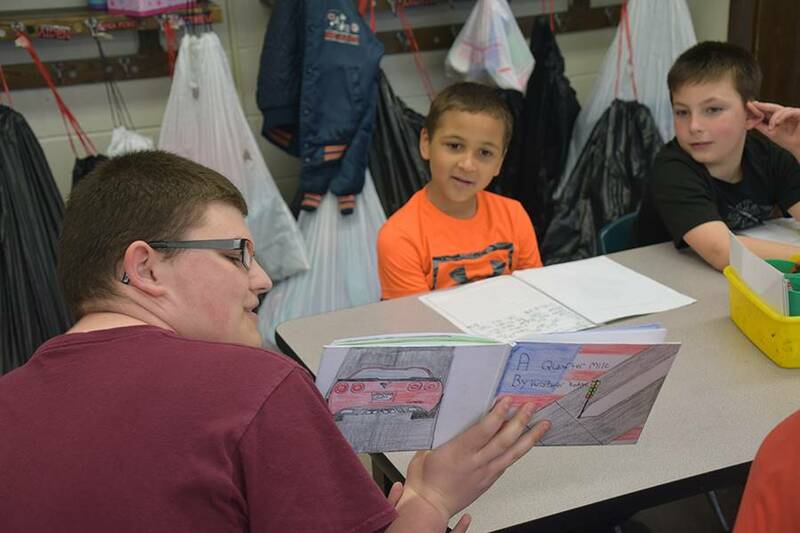 The ninth-graders read their children's books to the first-graders, while practicing the math concepts in the books. 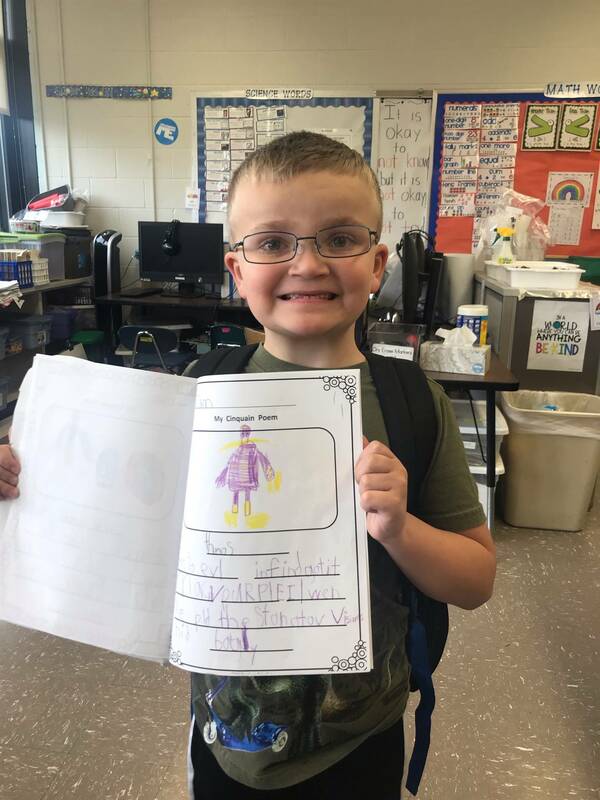 After, the first-graders shared their poems they recently wrote. 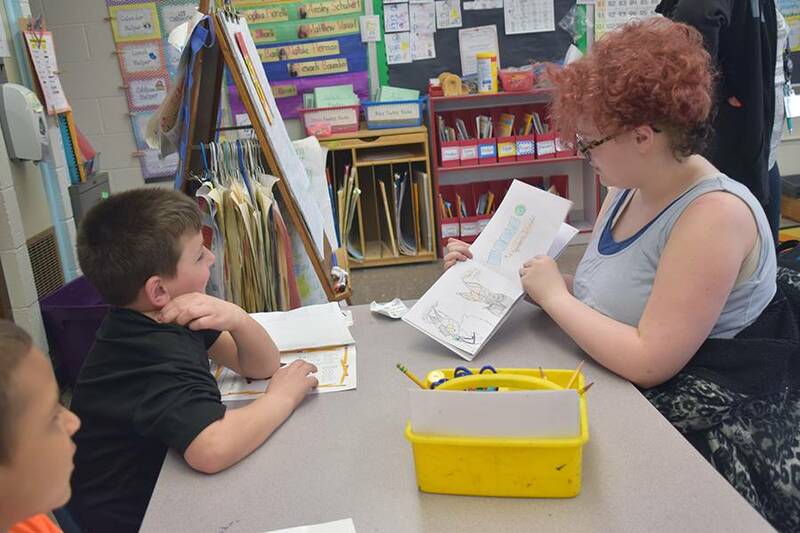 They all enjoyed learning and working together. 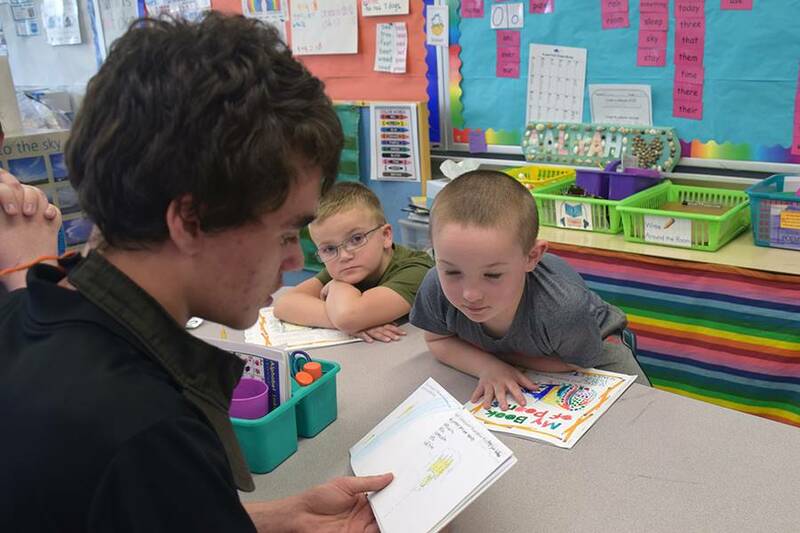 It was an awesome visit for both grade levels.